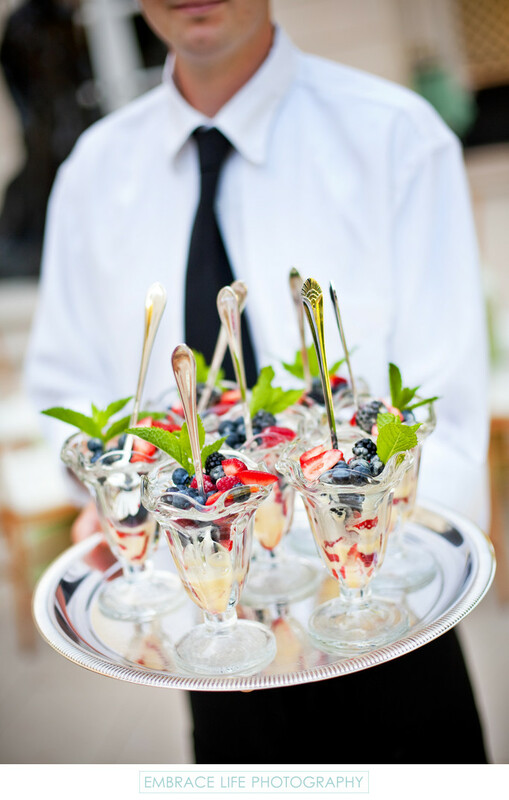 Los Angeles event photograph of a waiter serving colorful fruit parfaits in glasses with mint sprigs and tall spoons on a silver serving tray. When planning an event, so much thought is put into every detail; the decor, the flowers, even the presentation of the food by the caterer. Photographs of every detail preserve the memory of all that planning and hard work. Location: Bel Air, Los Angeles, CA. Keywords: Details (1125), Event Photography (384), Food and Drink (150).